And if you gaze into the abyss, the abyss will also gaze into you. The new UI does away with the merged card/topic sorting. Now each topic gets its own space-wasting bubbly label, with the 3-dot menu now separated from the card (not-quite-Material, eh?). The extra elements, of course, require extra padding, so that means we're now down to being able to see at most 1-2 cards on the screen at a time. That gives a whole new, literal meaning to the "Feed" name. As it manifests in the Google app (left) and a third-party launcher with a different layout for Feed integration (center). New topic settings pane (right). This change also works in tandem with the other various versions of the Feed UI out there. 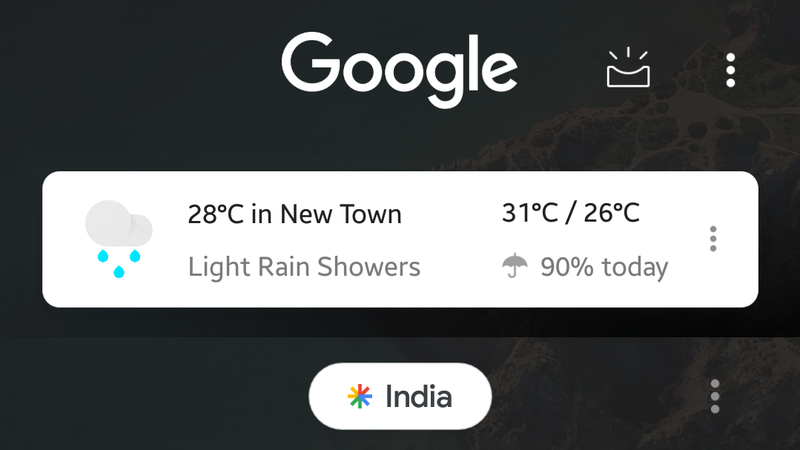 Some launchers show the feed omitting the full Google logo, merging the simpler Google "G" icon with the search bar. If it hits you, the same change also applies to the Google app, where the Feed rests in a tab along with your upcoming list of date or time sensitive items harvested from your account, recent topic rediscovery, search, and an options pane. Old Feed design (left) new design (right). 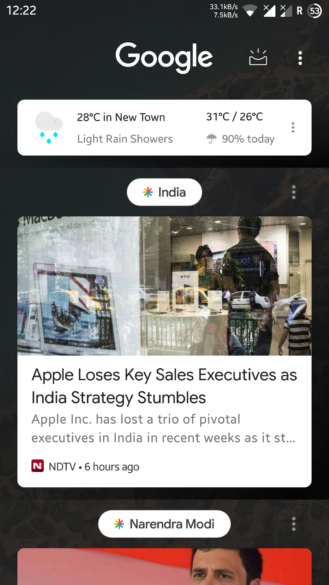 This new UI still hasn't hit any of us here at Android Police just yet, but based on the large volume of tips we've received, it is rolling out to an expanded audience—presumably as part of an ongoing server-side test, though it could also be tied to the beta or stable Google app updates released today. It may have been too much to hope that Google could have reconsidered these changes, given both our and our readers' strong distaste for them, but it isn't too late yet for things to turn around. One of our readers also noticed that the ability to share items from the feed looks to be gone, according to one of the screenshots we were provided. That's a pretty glaring omission, and I can't believe we missed it. Now, we can't be entirely sure because we don't have the new interface ourselves, which means if it's just been moved somewhere else, we can't check. But, it certainly appears as if that option—previously present in the 3-dot menu to the top right of each card—is now missing.